Also celebrating in his own is Garrosh Hellscream, who is reported to be spending Father’s Day in a tavern yelling at other orcs about how his father is “the greatesht hero the Horde has ever known” and how they were lucky that his bloodline continues in their “future bestest warchief evers.” The King of Stormwind took some time to take his son off to Lordamere Lake, just off the coast of Hillsbrad, where they fished and King Varian told young Anduin stories of King Llane and King Terenas. 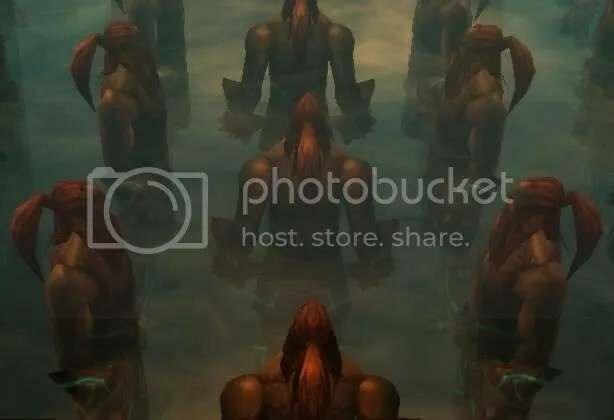 Meanwhile, on the shores of Kalimdor, Lady Jaina Proudmoore held a solemn procession in remembrance of the many father’s that were lost in the first, second and third wars. The entire population of Theramore turned up as Jaina led a mock navy funeral for those who had passed, including her own father, Lord Admiral Daelin Proudmoore. Those eyes... The eyes of the Diablo! 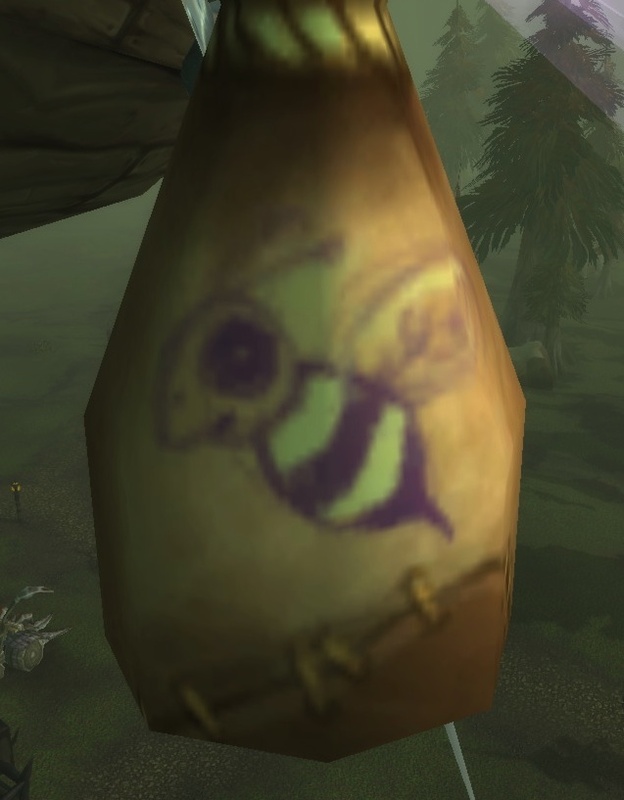 This oddity comes in via email from Umjin who simply asks “What’s the deal with the bees?” Included were several pictures of what you see here, drawings of bees on the sandbags of the Horde airships that transport people to and from Northrend. 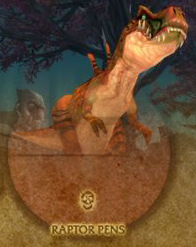 I must admit, this one did stump me at first until I remembered a trip I had made a while back through the Barrens. That trip is where I learned the darkest secret of the Horde and I hesitated quite a bit about even posting about it in fear of what the Alliance might do with this knowledge. But Umjin wants to know, and I’m sure you all do too. So here it is. The Horde is afraid of Bees. Even Batman fears the power of Bees! It’s true. While making my way towards the Crossroads I found Trok, a young orc who was running day and night from this malicious insects. I tried to talk to the little orc but he wouldn’t stay still for a single second. He would just keep running from the bees who endlessly chased him around the plains. I was admittedly concerned for Trok, especially after he continued to call for help from his sister Karu, who didn’t even lift a finger to aid him. I would soon learn that this girl was not a coward but as sagely as the shaman Kranal Fiss (who I can only assume is their father.) You see, I tried to help Trok with his bee problem. I tried every attack and every spell I could muster attempting to stop the assault of the tiny winged fiends but it was no good. They were too small, too quick and too agile to be stopped by brute force. That is their greatest strength. An orc specializes in smashing and slashing, a tauren could stomp you into submission, and a troll could throw a thousand knives at you in the blink of an eye – but what are these strengths against the masterful dodge and sting attacks of the bee? This is why the wise Karu doesn’t aid her brother. She knows that to fight the bee is to lose to the bee. She understands the bees’ strengths, and she knows that a lowly orc has no chance to take down this cunning beast. Everyone in the Horde knows and fears the strength of the bee. There is no armor infiltration proof enough to stop them, there is no weapon quick or accurate enough to kill them and there is no spell that they are not able to avoid. Truly the bee is a force to be reckoned with. The Alliance only wishes they could possess the power of the bee, I know the goblins do. Why else would they design many of their zeppelins to look like bees if they weren’t attempting to harness this power? 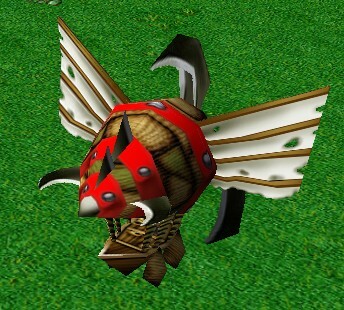 To decorate your vessel with the bee is to will your vessel to fly with the power of the bee! After all, there’s no way a bee can actually fly, yet it does. Wouldn’t you wish to infuse your flying ship with the power to defy physics itself? I know I would. So perhaps that is why they paint them on the sandbags, as a way to show that the horde and their zeppelins will defy logic and the world to do what they do. A truly powerful sentiment that shall ever endure as a testament to the strength of the Horde’s aerial prowess. But this also raises some questions. 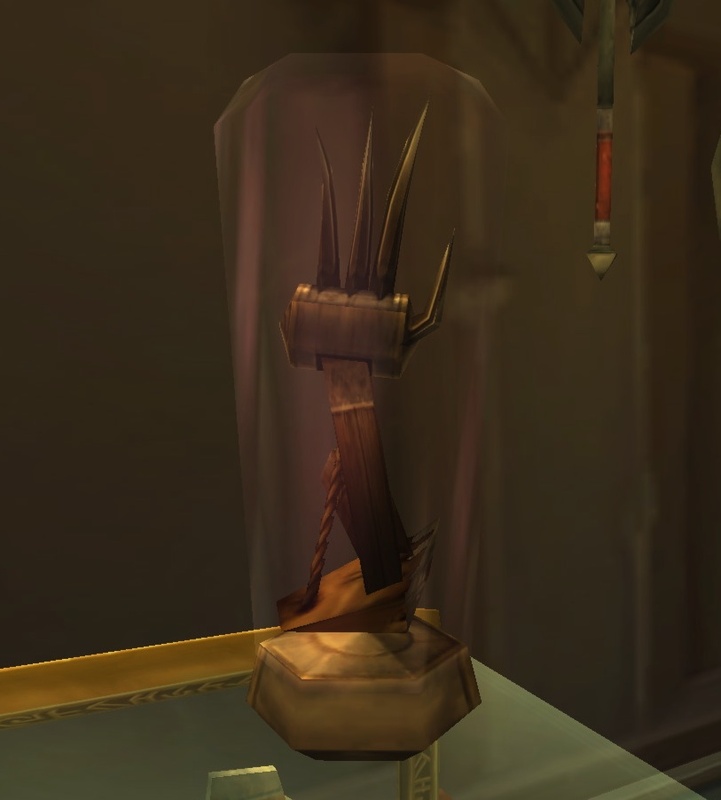 Why the heck is this book in Dalaran? The MAGE city. Every single citizen of this town is a wizard in some respect, why the heck have a Wizarding for Dummies book sitting around in a city of people who don’t need it? Wouldn’t this be better in places like Stormwind’s library, or the Undercity? 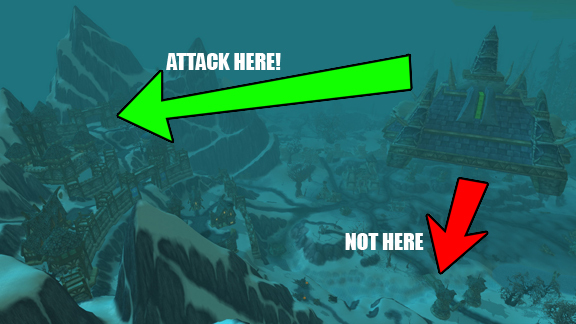 Or shall we toss some Cataclysm speculation in and have it turn up in Darnassus! Oh I weep for the unfortunate Night Elf to get caught with a copy of Mages 101 under his mattress. Blushing in shame as they mumble and try to explain to his or her parents about they sometimes they just get these urges to cast an arcane missile, and how all their friends are trying it. Maybe they’ll try and turn the tables and say that when their parents were younger (a few thousand years ago) they were doing it too. Then the parents will go on the defensive, saying how young and naive they were… and how it almost destroyed their entire world. I’d pay to watch that conversation. The point is, while the humor is fun, I don’t get why a city known for their wizardry would need such a basic book. 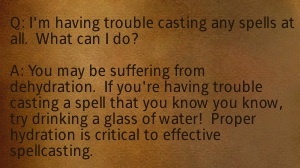 Does Dalaran have some kind of remedial wizarding classes? I figured that’s the class that Windle Sparkshine is in. How low do you have to sink to be put on candle lighter duty? He’s got to have some bad grades to land that job. My impression was that Dalaran was the city where the magic university was, not the magic grade school. Which honestly is more along the lines of the trainers in Kharanos or Goldshire would be. 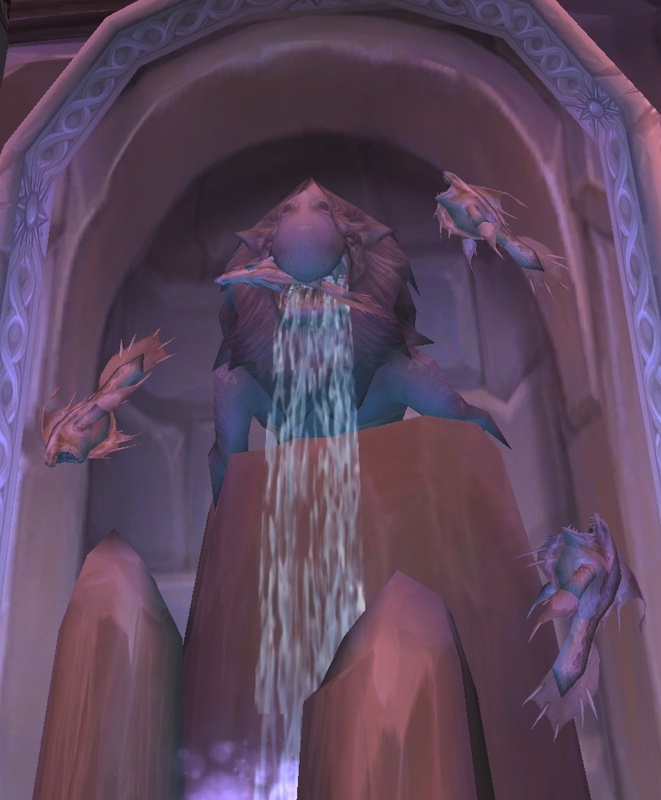 This book doesn’t belong in Dalaran. At all. Ever. Oddly, it spawns in place of a book required to get the Mastery book sometimes. So this actually might be a subtle hint that you’re not ready for “master” level wizardry yet. It’s like when you leave the Christmas Sears catalog – toys circled – in your parents room to entice them to take notice of what you want from them. What? I can’t be the only one who did that. Seriously? Whatever. Anyway, this book is spawning to tell you that you are a dumb mage that needs more schooling. Are you gonna take that from some snooty wizards? **Despite being the only writer on this site, the views expressed on this site are not those shared by Vrykerion. He likes mages. Port to Dal plz?